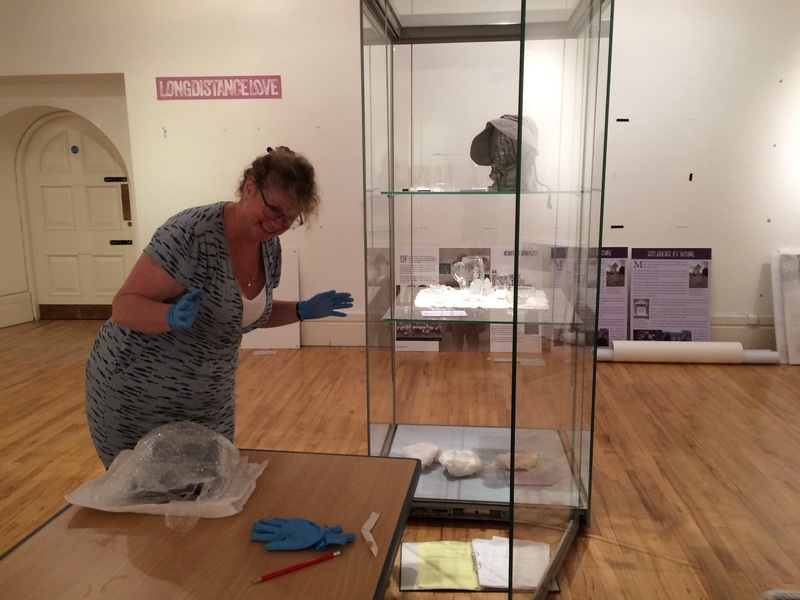 A poignant few hours on Saturday (1 July 2017) at the Royal Cornwall Museum, Truro, as we took down our exhibition Heart of Conflict – looking at Cornwall during World War One. 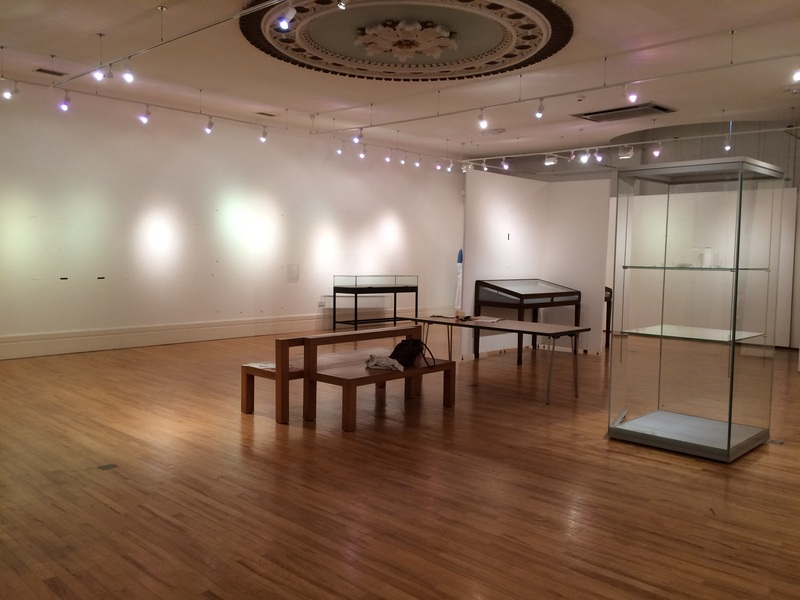 It’s amazing how quickly all can be dismantled – disconcertingly quickly in comparison with the many hours, days and months the exhibition took to assemble and build! 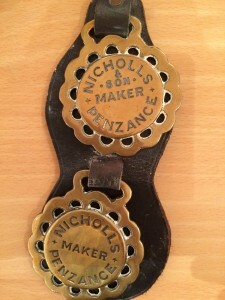 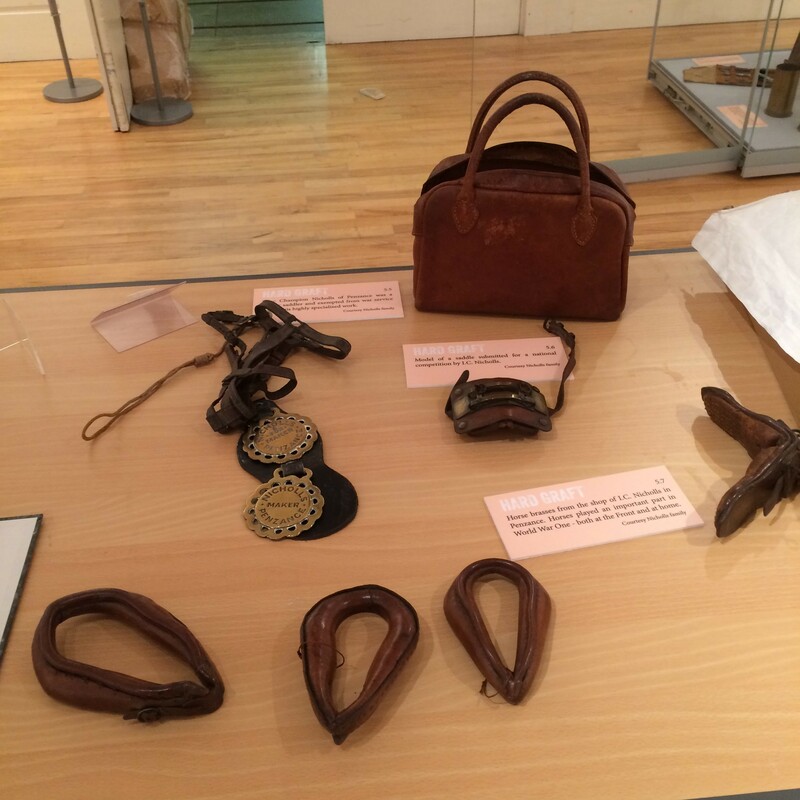 It was good to take a final close look at some of the items before packaging, for example these extraordinary miniature saddles and harnesses made by Isaac Champion Nicholls of Penzance, who worked through World War One and produced items like these for horses on the land and at the Front. A recent visitor from Paul Church (near Penzance) remembered this shop.